The day is finally coming, ladies and gentlemen. After more than four months since the announcement that Blackberry would be bringing its incredibly popular messaging service to Android (and iOS), we finally have a launch date. In an official blog post today, the recently-renamed company announced that the app would hit the Play Store on Saturday, September 21st promptly at 7:00 AM Eastern Time. We've been seeing more and more leaks of the app as of late, so this announcement isn't much of a surprise. Still, it's nice to finally have something concrete. 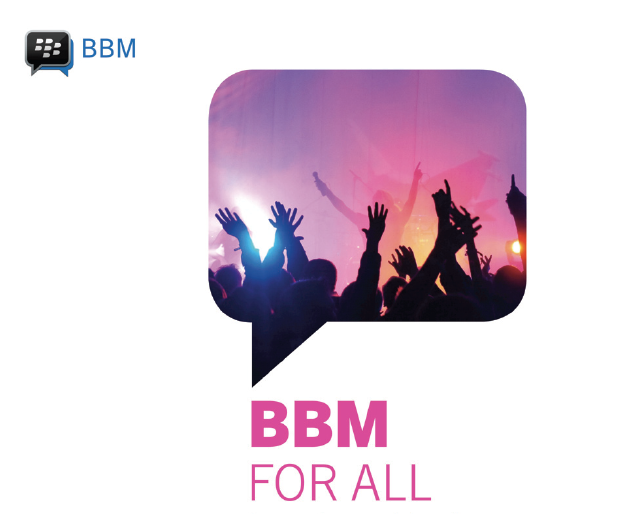 BBM for Android will pack most (if not all) the features that BBM loyalists have grown to love, including BBM Chat (naturally) with picture and voice note transfers, group chat, status updates, and privacy controls that support PINs. But it's not all good news for Blackberry. Despite finally bringing its long-awaited messenger to Android on the 21st (and iOS on the 22nd at 12:01 AM in each time zone), the company is still reportedly going to let 40 percent of its workforce go by the end of the year. According to the Wall Street Journal, the layoffs will happen in waves across all departments. Ouch. Bad news for Blackberry employees. But look at the bright side – at least we'll finally have Blackberry Messenger.